God bless the home of the brave and the land of the free, which provides us with so many great stories. This week it's not so much the story as the chance for some fantastic headlines to grab the attention of you dirty minded fisho's! This week officials from the Pennsylvania Game Commission announced that a beaver (possibly a rabid beaver) had been attacking fishermen! First we checked that it wasn't April fools' day, but this story, which sounds like it's straight out of a B-grade hollywood comedy staring Leslie Nielsen is in fact true! According to official reports, on June 1, a husband and wife were fishing on a creek near Harrisburg, Pennsylvania when a big beaver bit the woman's leg. As her husband attempted to assist her, the beaver turned and bit him in both arms and chest area. The rampaging rodent, which officials fear may be carrying rabies, was later caught and put down by park rangers, but not before also attacking and biting a small child. "At this time, we have no specific information about what has caused this beaver to attack humans," an official said. 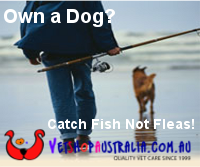 "However, all indications are that this likely is a case of rabies. While we are attempting to search the area for other animals that may be infected, we are asking people to not enter the area along Pennypack Creek until further notice." 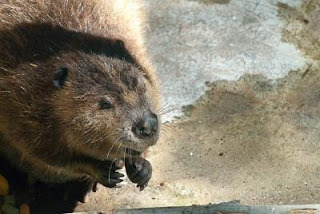 This is not the first "Rabid Beaver Bites Fisherman" story from the area, in late April a rabid beaver was found in the White Clay Creek area of Chester County. According to officials in that incident, a local angler heard a splash behind him and turned to see a beaver swimming toward him. "The beaver bit the angler on the back of his leg and attempted to come at him again," the ranger said. "The fisherman was able to drown the beaver after quite a struggle and suffered another bite on his hand. I met him at the site to retrieve the carcass, which was then submitted for rabies testing and, unfortunately, it came back positive."